OFI-30A/AT can detect optical signal presence, type and direction anywhere on fibers during optical network deployment, maintenance and troubleshooting. With non-destructive macro-bend detection technology, it introduces no damage to tested fiber or interference to the service on fiber. which can realize lowfrequency signal online injection, and also realize to find a particular fiber online without modulation signal in optical fiber signal . OFI-30A series is able to identify wide-spectrum signals (such as signals in CATV system) and can be used in SONET/SDH & DWDM systems tests. 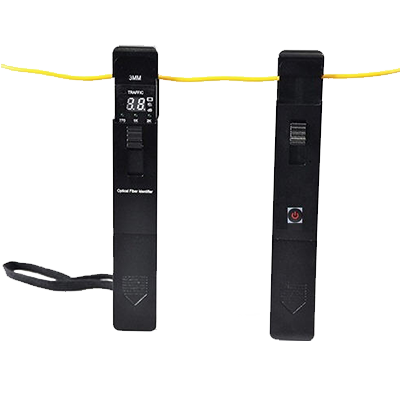 This tester is designed for machine room complex optical patch cords provides a good solution.